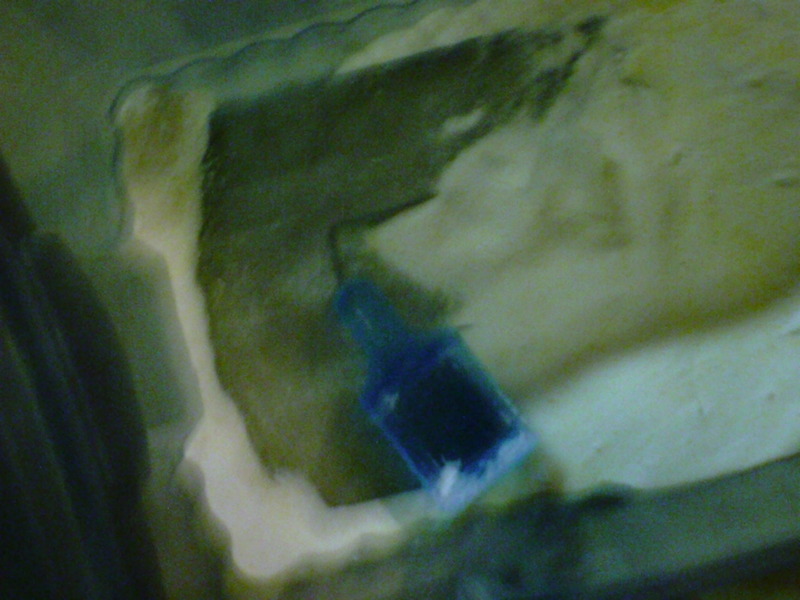 Last year, Fred sent me a link to a powdered laundry detergent recipe from Rural King’s blog. At first, I thought, “I’m not interested. I have a recipe that I like, and I can even use it to make powdered detergent.” Curiosity got the better of me though, so I clicked on the link, and I’m glad I did! I’ve been making my own laundry detergent for years. By doing that, I save money, and I get a quality product. I’d been making a liquid concentrate though, and while I only had to make it every six months or so, I still found myself dreading detergent-making time. I had to grate the soap, melt the soap, mix all the ingredients in a five gallon bucket, and then I had to wait for it to cool and set up. THEN I had to decant five gallons worth of concentrate into bottles, and I had to find a place to store all those bottles. Like I said, it was worth it at the time because I only had to do it twice a year, and it helped me save so much money on laundry detergent. But I figured there had to be a better way. Even if it cost a bit more money, I was willing to consider a process that was a little less complicated. The thing is, using the dry ingredients from my recipe didn’t seem like a particularly cost-effective way to get things done. With the addition of some water to those ingredients, I had enough laundry detergent for a family of five to last us 6 months. By themselves though, those same dry ingredients wouldn’t last us more than a month. I wasn’t satisfied with that. I guess that’s why the Rural King recipe caught my eye. It seemed like it’d make a lot more product, and yes, it was going to cost more, but I was OK with that. Following the Rural King recipe, here’s what I did. I grated 3 Fels-Naptha laundry bars with my box grater that I’ve dedicated to grating soap. I mixed the ingredients thoroughly with an old plastic scoop, and I tossed an old medicine dosing cup into the bin so that I could measure the powder when it came time to do the laundry. I made my first batch of laundry detergent using this recipe back in August of 2014, and I still have at least another month’s worth of powder on hand. The blog post recommends using 1-2 tablespoons of powder with each load, and that amount seems to work well for us. I haven’t added anything for “scent”, but in the future, I plan to use lavender-scented homemade soap instead of the Fels-Naptha. At the moment though, I still have a large quantity of the Fels-Naptha on hand from when I bought an entire case back in 2010. The powdered detergent takes up MUCH less room. I can mix and store the powdered detergent in the same container. That means I don’t have to scrape up extra containers for my excess detergent that isn’t being used at the washing machine. I use a lot less OxiClean now because it’s actually in the detergent. I find the powder easier to measure. It hadn’t occurred to me ‘til just now that the powdered detergent might actually be cheaper in the long run. I’ll have to keep track of how much OxiClean I actually use. In the end, the two detergents might cost nearly the same since I’m only adding OxiClean to the loads that have stains or tough dirt. All told, I’m extremely happy with this new method for making laundry detergent. I don’t ever want to go back to the store-bought stuff! This entry was posted in Blogs, Natural Living, Prepping, Recipes. Bookmark the permalink.